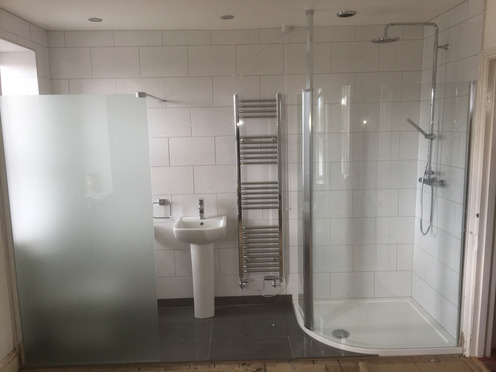 Jason's experience in the building/construction trade doesn't stop with the main aspects of building, he is also fully experienced and capable of carrying out extensive work to Bathroom extensions and renovation work. 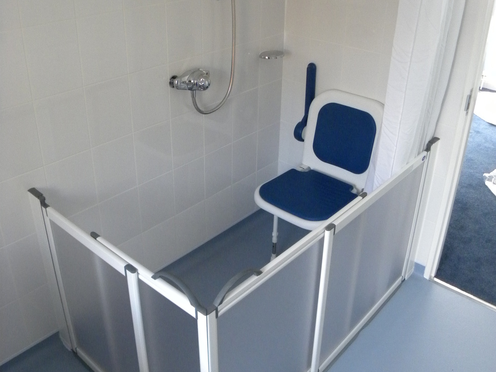 Customised Bathrooms to your requirements. 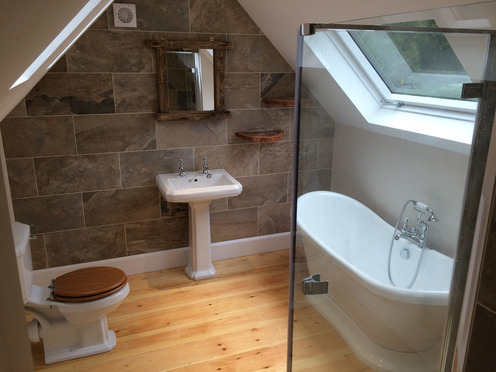 Combemartin - Bathroom conversion to a Disabled wetroom. 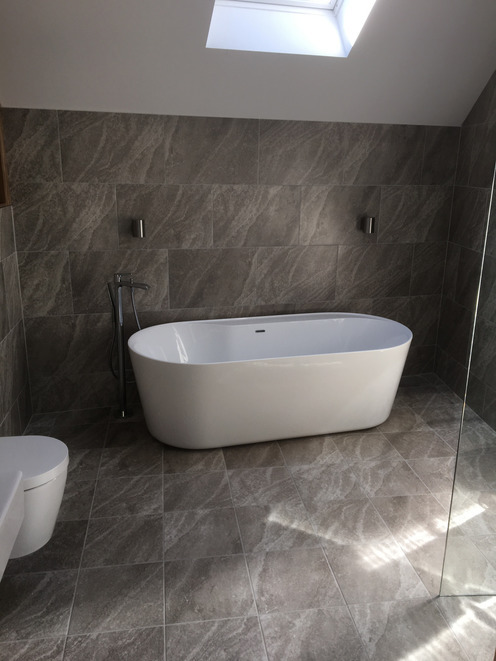 "I am very pleased with all the work done, inc the flooring Jamie did. 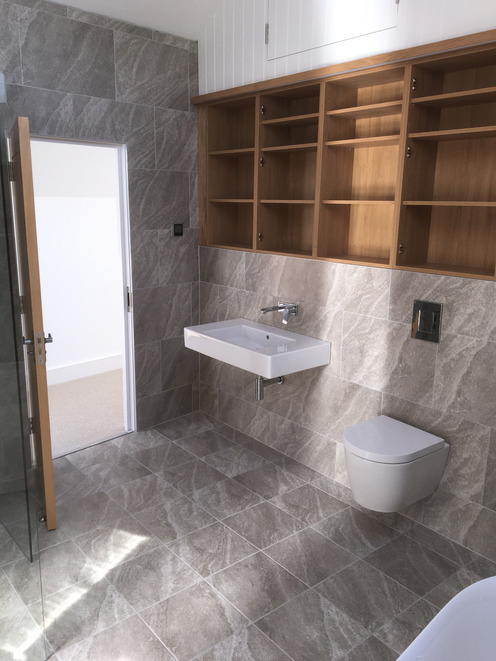 I will not hesitate to recommend your firm to anyone who needs work done"
Removal of existing suites and replacement along with complete tiling of walls and floors. 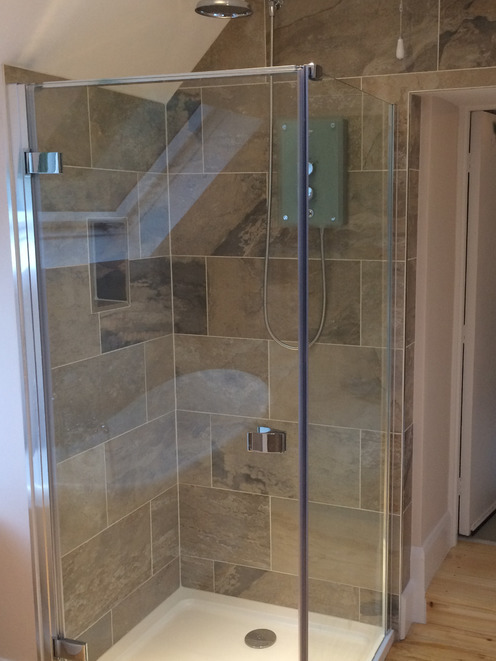 Wet room conversion in Combe martin on behalf of North Devon District Council.